At the township’s public meeting held February 6, 2012, the Board of Supervisors voted to reject a resolution to submit the Act 537 to DEP. While the Board remains committed to satisfying the legal mandate to prepare a plan, projected user rates in excess of $90.00 per month are far above the statewide average and would likely be among the highest rates in Pennsylvania. The Board requested a meeting with DEP to discuss this matter. Below the completed Act 537 Plan which is now available for public comment. The Plan and Appendices are listed below. You can click on any section to view it, but please be advised these are very large files and downloading may be extremely slow. Public Comment was held on November 7, 2011 at the Municipal Building and on December 5, 2011 at the St. Christopher’s Community Center. Welcome to the Act 537 Summary Page. On January 24, 1966, the Pennsylvania Sewage Facilities Act (Act 537, as amended) was enacted to correct existing sewage disposal problems and prevent future problems. To meet this objective, the Act requires proper planning in all types of sewage disposal situations. Local municipalities are largely responsible for administering the Act 537 sewage facilities program. To assist local municipalities in fulfilling this responsibility, the Department of Environmental Protection (DEP) provides technical assistance, financial assistance, and oversight. You can scroll through the rest of this page to see the history of Act 537 – all the way back to the early 1970s. For a printer friendly copy of the history of Act 537 in Bear Creek Township, Click Here. November 12, 2009: At a Public Meeting on Monday, November 9th, Reilly Associates presented the five alternatives being considered for inclusion in the submission of the Act 537 Plan. This included a narrative a tentative road listing of the impacted areas, and a schedule with estimated construction and operating costs of each alternative. 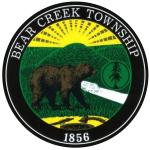 September 16, 2008: At a Public Meeting last night, the Bear Creek Township Board of Supervisors voted to accept a bid for the development and submission of our Township’s Act 537 Plan. We voted to retain Reilly Associates to complete the plan, with the deliverable to the Township being a DEP-approved Act 537 Plan. By remaining with Reilly, we were able to leverage the work they’ve previously done on this project, resulting in a significant cost savings for Bear Creek Township. Even before considering the costs of certain experts who may be required (such as soil scientologists), Reilly was 60% lower than the closest competing bid. February 7, 2008: Judge rules against BCT. Township ordered to move forward with developing a revised Act 537 Plan. November 13, 2007: Motion for Summary Judgment filed by DEP. November 13, 2007: Motion for Summary Judgment filed by BCT. October 19, 2006: Township appealed the Department’s September 20th Order to the DEP Hearing Board. September 20, 2006: DEP issued an Administrative Order to the Bear Creek Township Board of Supervisors requiring the submission of the plan without inclusion of an on-lot alternative. The Order required the township to install a centralized sewage collection system to provide for sewage treatment needs in Llewellyn Corners, Forest Park, Trailwood, and Country Club Estates. June 5, 2006: Township sends a letter to DEP indicating that it is proceeding as promised. June 1, 2006: DEP sent a letter to the township concerning recent communications from the SEO. DEP indicated that it believed the township has failed to make meaningful progress towards the adoption of its Official Sewage Facilities Plan, and its doubt that the contemplated on-lot sewage management/repair program would be successful. November 16, 2005: DEP receives a Bear Creek Township Resolution indicating it would continue analysis to determine which malfunctioning systems could be corrected. A progress report was promised on or about December 15, 2005. September 19, 2005: DEP receives a letter from the township’s SEO indicating that he had not completed review of the Forest Park area to confirm whether any malfunctioning systems could be corrected. June 9, 2005: DEP meets with township officials to discuss status of Official Sewage Facilities Plan. DEP indicates that the township has not completed Phase I of the project, and reiterated that a soil scientologist was necessary to conduct the contemplated evaluation. May 20, 2005: DEP sends a letter to the township indicating that the draft plan is deficient. Since no fieldwork or soils analysis had been completed, DEP indicated that no conclusion could be drawn regarding the viability of the plan. January 18, 2005: DEP receives the township’s Official Sewage Facilities Plan for comment. December 17, 2004: DEP responds to the November 3rd letter by indicating that a soil scientologist is necessary to evaluate the alternative of repairing and replacing malfunctioning systems. DEP also indicated that the desired sewer treatment alternative does not appear to be viable based on DEP’s experience with similarly situated municipalities. A modified Task Activity Report is requested by DEP no later than January 20, 2005. November 3, 2004: Township solicitor sends a letter to DEP asking whether it is necessary to hire a soil scientologist to evaluate the ability to repair documented malfunctioning on-lot systems. October 29, 2004: DEP provides proposed effluent limits in response to township’s September 21, 2004 request. September 28, 2004: Township solicitor sends a letter to DEP indicating that the township will not hire a soil scientologist despite DEP’s request to do so during the December 10, 2003 meeting. September 15, 2004: DEP sends a letter to the township consultant indicating that their June 29, 2004 request for preliminary effluence limits at six different locations is unreasonable and the scope of the request should be narrowed. September 9, 2004: DEP sends a letter to the township indicating that it still has not received an amended, signed Task Activity Report. DEP requested a signed Task Activity Report be provided by the township within 15 days of receipt of the letter. June 30, 2004: Township’s consultant requests a copy of draft wastewater treatment plant effluent discharge limits to be used in planning the Official Sewage Facilities Plan Update Revision. March 22, 2004: DEP receives a letter from the township indicating that the amended Task Activity Report will be signed by the township on April 5, 2004. Letter also indicated the work on the project would continue as outlined in the 12-10-2003 meeting. March 5, 2004: DEP sends letter to township indicating it had not received the amended Task Activity Report. DEP requested a signed Task Activity Report be provided by the township within 15 days of receipt of the letter. January 2, 2004: Township engineer submits a letter to DEP expressing intention to amend the Task Activity Report to include the use of the soil scientologist. December 10, 2003: DEP met with the township to discuss first two phases of sewage analysis report. It was agreed that an independent soil scientologist would be hired by the township to work on Phase I of the plan. It was agreed that Phase I was to begin May 31, 2004 and end by August 1, 2004. A final Act 537 Plan Update would be completed and submitted by February 1, 2005. November 17, 2003: Final Task Activity Report submitted to DEP by the township. October 15, 2003: DEP sends a letter to the township indicating that the August 28, 2003 submission is acceptable as an initial approach to evaluating alternatives, despite continued reservations over the long term use of on-lot systems. August 28, 2003: Township’s consultant sends a letter to DEP along with a Task Activity Report. Township intends to investigate and test 46 on-lot systems that were confirmed as malfunctioning. August 8, 2003: DEP sends a letter to the township summarizing the July 9th meeting. DEP expresses strong reservations concerning a long term plan to use on-lot systems. June 9, 2003: DEP meets with township representatives to go over the May 5th submission. Township agreed to submit a modified final Task Activity Report within 30 days of this meeting. May 5, 2003: DEP receives an initial Sewage Disposal Alternatives Evaluation submitted by the township. Study identifies various configurations of treatment at new and existing facilities and potential for implementation of an on-lot management program. February 12, 2003: DEP meets with township representatives to discuss the Sewage Needs Analysis. Township commits to completing a Task Activity Report that addresses alternatives to correct documented malfunctioning systems would be filed by April 15, 2003. DEP sends follow up letter confirming this expectation on 2-19-2003. October 4, 2002: Sewage Needs Analysis is forwarded to DEP. Confirmed malfunctioning systems in Forest Park, Trailwood, and Country Club Estates were 56%. Almost 80% of all homes in this study area had either confirmed malfunctioning systems or suspected malfunctioning systems. April 2, 2002: Township consultant sends letter to DEP indicating the Sewage Needs Survey has begun and is expected to be completed in six to eight weeks. November 15, 2001: Township consultant sends letter to DEP indicates the Sewage Needs Survey would begin in the Spring of 2002. June 22, 2001: DEP responds in a letter expressing concerns regarding the adequacy of an on-lot program. June 21, 2001: DEP receives updated draft Task Activity Report from township indicating that the planning efforts were to further the preparation of an on-lot sewage facilities management plan. February 21, 2001: DEP meets with township concerning obligation to develop and implement an Official Sewage Facilities Plan. Township agrees to conduct a sewage disposal needs study for the entire township as soon as weather conditions allow. DEP follows up from this meeting with a letter confirming responsibilities and expectations. January 10, 2001: DEP responds to township draft report. DEP suggests a more detailed need survey to determine if a sewage management program alone would be sufficient to address the township’s sewage system malfunctions. November 2000: DEP receives a draft Task Activity Report from the township concerning potential revision to the Official Sewage Facilities Plan. This contemplated addressing existing sewage needs by a sewage management program. September 18, 2000: Bear Creek Township supervisors unanimously approves a motion to hire Reilly and Associates to do review and update the Act 537 Plan. August 14, 2000: DEP sends a letter to the township confirming the representations of the Township’s Sewage Enforcement Officer that many of the existing malfunctioning septic systems cannot be repaired using on-lot technology. June 29, 2000: DEP sends a follow up letter to the Township summarizing what was agreed to on 06-23-2000. June 23, 2000: DEP met with the Township again. Township officials agreed to pursue professional assistance in preparing an update to the Official Sewage Facilities Plan. It was agreed that a complete draft would be completed by October 1, 2000. May 9, 2000: DEP issues a letter to the township Board of Supervisors indicating that the township continues to be in violation of the final September 1, 1987 Order requiring the township to submit an adopted Sewage Facilities Plan. May 9, 2000: DEP receives a complaint from a township resident that a culvert in the vicinity of her residence was contaminated with sewage. April 20, 2000: DEP representative observed numerous raw sewage discharges to drainage ditches throughout Forest Park. November 12, 1991: DEP sends a letter to the township indicating there are several major deficiencies in the August 1991 Plan, including failure of adoption by a resolution of Bear Creek Township. August 13, 1991: DEP receives a draft Sewage Facilities Plan from the Township dated August 1991. This “August 1991 Sewage Facilities Plan” was not adopted by the Township. January 16, 1991: Representatives of DEP met with officials of Bear Creek Township. Township representatives committed to expeditiously complying with the September 1987 Order. This meant formally submitting an Official Sewage Facilities Plan. November 19, 1990: The PA Environmental Hearing Board affirms the September 1, 1987 Order requiring the Township to submit a plan which addresses the total sewage needs documented in the Township in accordance with the requirements of the PA Sewage Facilities Act. Late 1987: Bear Creek Township appeals the September 1, 1987 Order to the PA Environmental Hearing Board . Ongoing: Bear Creek Township has not complied with DER’s September 1, 1987 Order. September 1, 1987: DER orders Bear Creek Township to submit a plan which addresses the total sewage needs documented in the Township in accordance with the requirements of the PA Sewage Facilities Act. This plan must be filed by November 1, 1987. July 2, 1986: The township proposes to address sewage problems by requiring the systematic upgrading of on-lot septic systems, or for home which could not be upgraded, either condemnation or the construction of small cluster systems. DER notes that the letter (1) was not accompanied by either evidence that it had been adopted by the Township Supervisors or a statement from the Luzerne County Planning Commission, and (2) it did not contain dates for implementation of the proposal. Unknown Date: The township was awarded a total of $43,133 in grants from EPA to conduct the Smith Miller and Pasonick studies. Unknown Date: The Pasonick Plan recommended construction of central sewers to serve the more densely populated areas where significant failure was identified (Trailwood, Forest Park, Country Club Estates, and Llewellyn Corners). March 19, 1985: Michael J. Pasonick, Jr., Inc. retained to prepare a sewage facility plan which would include walking to each residence within the Township looking for evidence of malfunctioning on-lot sewage systems. A total of 1,133 homes were studied and 290 (26%) had malfunctioning systems. Four areas with particularly high rates of failure were Trailwood (74%), Forest Park (58%), Country Club Estates (73%) and Llewellyn Corners (32%). November 21, 1983: DER notified the Township that it was limiting the Township’s ability to issue sewage permits for on-lot disposal systems. The township and DER agreed that the physical inspection of homes was warranted to document the scope of the on-lot sewage problems. November 17, 1983: DER informed the Township that it would be required to update its official plan. November 1, 1983: The Township supervisors rejected the Smith Miller Plan. September 1983: Smith Miller issued a revised proposed facilities plan. This called for, among other things, transport of sewage from areas which were unsuitable for on-lot systems to cluster systems of septic tanks located on suitable soil. November 1982: Smith Miller issued a proposed facilities plan. September 19, 1980: The Township accepted a Step 1 Grant Award from the Environmental Protection Agency (“EPA”) to develop a sewage facilities plan which would act as a revision to the 1973 official plan. February 21, 1977: The Township engaged Smith, Miller and Associates to conduct an independent evaluation of the Chester Engineers report. Ongoing: The Township never adopted any of the alternatives outlined in the Chester Engineers report. April 28, 1975: DER submits comments on the Chester Engineers Report. DER advised the township to adopt Alternative #6. February 1975: Chester Engineers submits the report to the Township outlining six alternatives. They recommend Alternative #6 which called for central sewers to serve Llewellyn Corners, Trailwood, Country Club Estates, Forest Park, Bear Creek Lake, the Highway Building and an Elementary School. The sewage would be conveyed to a treatment plant to be constructed on the east bank of Bear Creek. December 18, 1973: Township retains Chester Engineers to prepare a sewage feasibility report covering transportation and treatment of sewage in the Township. December 10, 1973: DER issued a Notice of Violation to Bear Creek Township concerning malfunctioning on-lot sewage systems in Country Club Estates, Trailwood, and Forest Park. Ongoing: The Township did not implement its official plan by constructing central sewers in Llewellyn Corners, Forest Park, and Trailwood in 1974-1977, or at any time thereafter. Ongoing: The Township never submitted the studies required by DER’s 12-06-1973 letter. December 6, 1973: The PA Department of Environmental Resources (“DER”) gave qualified approval to the Plan. 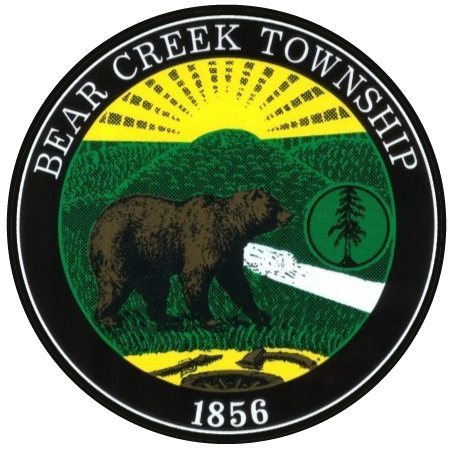 Bear Creek Township was required to submit – within 120 days – further studies as to the existing sewage problems or the suitability of soils in the developing areas of the township for individual on-lot sewage systems. 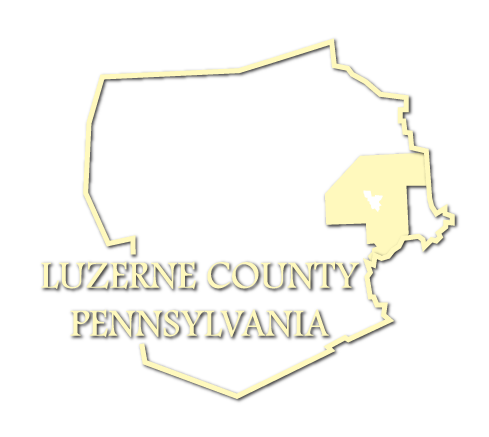 August 30, 1973: Bear Creek Township adopts the Sewer Section of the Master Plan for Water Supply and Waste Water Management as prepared by Luzerne County Planning Commission. This is known as “the 1973 Master Plan”, and called for central sewers to be installed in the Llewellyn Corners, Forest Park and Trailwood areas of the Township. The construction of these sewers was to occur during the period from 1974-1977.